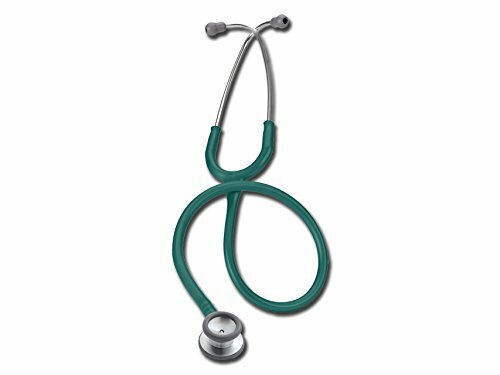 The 3M Littmann Classic II Infant Stethoscope is based on the proven design of Littmann Classic stethoscopes. It’s a dependable, hard-working clinical tool for physical assessment, monitoring, and diagnosis of the smallest patients. The colors shown online are approximations. We have made every effort to show the best possible match to the color of the actual product. However, some variation is expected, due to differences in both lighting and monitor calibration. The power to learn in the palm of your hand with our free educational app. Practice your auscultation skills anytime, anywhere with the 3M Littmann Learning Institute app, free with the purchase of a 3M Littmann Stethoscope. The app allows you to practice and improve your auscultations skills, which can result in better performance in school or your practice and provide better patient outcomes. Go to the iTunes App Store or Google Play to download the free app and start training today! The 3M Littmann Classic III Stethoscope offers high acoustic sensitivity for exceptional performance when doing general physical assessments. It features dual tunable diaphragms and an updated design that is easier to clean and maintain. The colors shown online are approximations. We have made every effort to show the best possible match to the color of the actual product. However, some variation is expected, due to differences in both lighting and monitor calibration. If you have any questions about this product by Littmann, contact us by completing and submitting the form below. If you are looking for a specif part number, please include it with your message.